The Canadian government is seeking to double the number of offices where Chinese can apply for Canadian visas as it looks to boost the dwindling number of visitors, international students and even high-skilled foreign workers from China. The Canadian government is seeking to double the number of offices where Chinese can apply for Canadian visas as it looks to boost a dwindling number of visitors, international students, even high-skilled foreign workers from China. Immigration Minister John McCallum spent the past two days meeting with senior Chinese officials in Beijing where he asked to open at least five more visa application centres in Chengdu, Nanjing, Wuhan, Jinan and Shenyang. Canada currently has five visa offices in China. "Canada needs to take advantage of a great economic opportunity to capture this market and the opening of more visa application centres throughout China would facilitate travellers seeking to come to Canada," said a government official on condition of anonymity, in an email to CBC News on Wednesday. "We want to facilitate the entry of people who can make some great contributions to Canada while they are here, and hopefully be able to retain them," the official said. 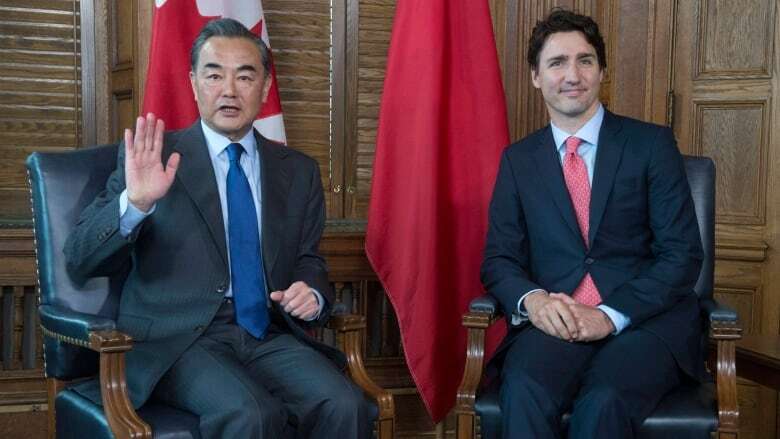 McCallum's trip comes as Prime Minister Justin Trudeau is set to attend the G20 summit in China later this month. Trudeau has tasked McCallum with preparing a three-year immigration plan which is expected to be unveiled in greater detail later this fall. It is part of the Liberal government's larger plan to promote innovation and grow the economy. The previous Conservative government launched on Jan. 1, 2015 a new system known as express entry in an effort to lure prospective immigrants for jobs where there are no available Canadian workers. In 2013, China was the top source country for permanent residency in Canada, according to Immigration, Refugees and Citizenship Canada. But 15 months after the launch of express entry saw a tightening of rules, China dropped to sixth behind the Philippines, India, the U.K., Ireland and the U.S., according to data published by IRCC from May 31. Immigration lawyer Richard Kurland says the move to open more visa offices in China will eventually yield the desired results. "Having more Canadian visa entry points in China by multiplying the number of application centres will undoubtedly facilitate visa issuance, and give faster service to larger numbers of people. "When Canada did this in other countries, it resulted in greater numbers of applicants," Kurland said in an email to CBC News on Wednesday. McCallum has said he wants to attract more foreign talent in the high-tech sector and harness the economic potential of international students, which he has touted as "the cream of the crop." On Wednesday, McCallum met with representatives from "the innovation and start-up sectors," according to an itinerary provided to CBC by his office. He is scheduled to travel to Manila on Thursday to meet with senior foreign, labour and employment officials and give a keynote speech to the Canadian Chamber of Commerce of the Philippines. The Liberal government is looking to ease some of the rules under express entry and a parliamentary committee has been reviewing the foreign worker program. The committee is set to table its report when the House of Commons resumes in the fall. The government is also studying options to replace the failed millionaire investment program launched under the Conservatives. A revamped version of the program critics once denounced as "cash for citizenship" fared no better, luring only seven millionaires instead of 60. McCallum was not immediately available for an interview.